The two main entrances, one on the upper ground/street level, the other on the lower ground/parking garage level, are interconnected by an open, skylighted stair gallery paralleling the auditorium. The traditional gallery is adjacent to the lower entry and the double-height, flexible, experimental gallery is another level below grade, adjacent to the service tunnel, which relates to the existing access road. 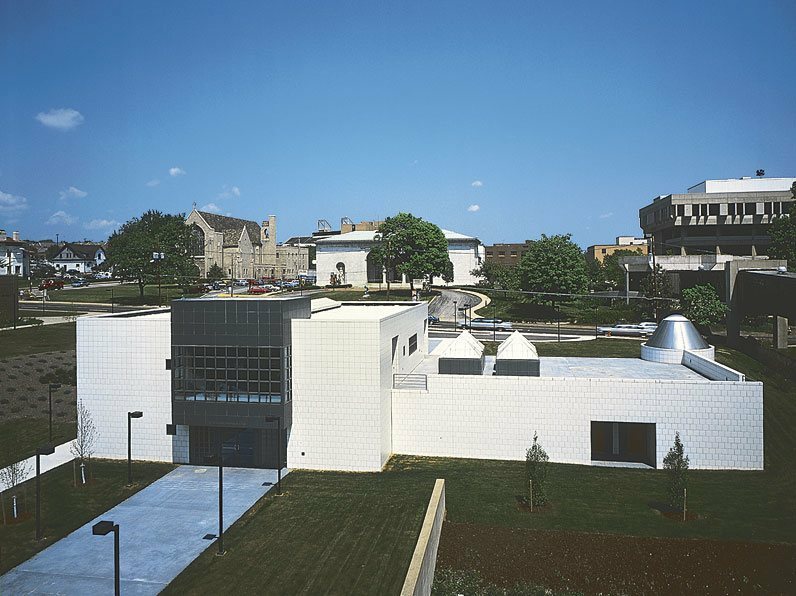 The 20,000-square-foot building was rendered in granite, tile and metal panels, presenting itself as a discreet architectural object in the “garden” perceived in counterpoint to the surrounding existing large-scale structures.